The Ray Mears Leather Spoon Knife Sheath is a handmade cover designed specifically to house the excellent S. Djarv Hantverk Spoon Knife - Big. 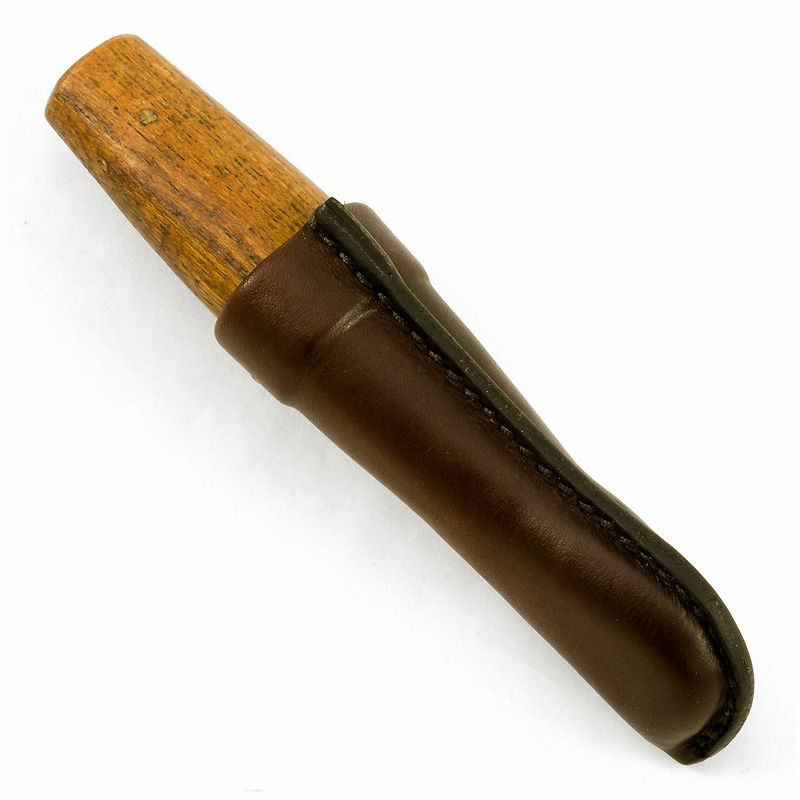 Lovingly made from premium vegetable-tanned leather, this sheath will keep the blade of your knife protected from damage while also providing a safe way of storing and transporting your carving tools. The main body of the sheath is made from a supple leather with added layers of protection in the area where the blade sits and around the cuff, all stitched together by hand and finished with a burnished edge. 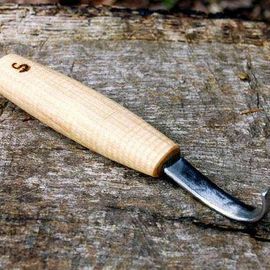 This sheath is suitable for use with both right- and left-handed models of the Spoon Knife. All of our leather goods are hand-made in England by Becky Brewster, a craftswoman with over two decades of experience. All leathers are vegetable tanned with full, natural grain, and our knife sheaths are treated to harden them and provide a penetrating wax finish. 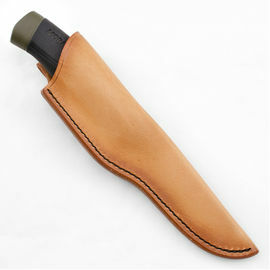 Ray Mears Leather S. Djarv Hantverk Spoon Knife Sheath - Big is rated 5/5 based on 8 customer reviews. VERY well made. It fits perfectly. This is an excellent sheath. 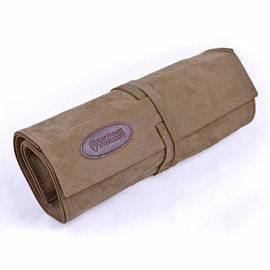 The stitching is superb, the fit is snug, and the quality of the materials is above standard. 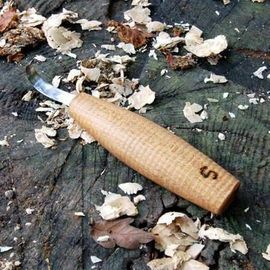 As an added bonus, it's also much more attractive than a plastic sheath and much safer than a birch bark one. I'm very pleased with it overall. Excellent tool protection and really well made. The leather work on this sheath is outstanding,it fits the SD large Spoon knife perfectly and protects it exceptionally well. If you purchase a SD Spoon knife, buy one of these sheaths for it when you order the knife. You will not be disappointed. Highly recommended. These are great sheaths. They fit well and are well made. Nice leather excellent craftsmanship. 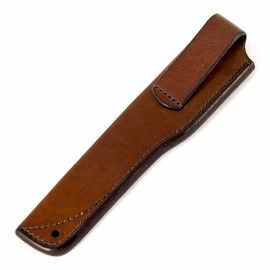 Another top quality leather product to accompany the spoon knives. These things are perfect, allowing you to chuck your knives anywhere and keep them and you protected. Great snug fit too. Well made and great quality with a very nice finish. Makes carrying and protecting them munch better. I would recommend they come with the the respective knives. Beautiful, simply perfect. Fits like a glove and such strong, thick leather.